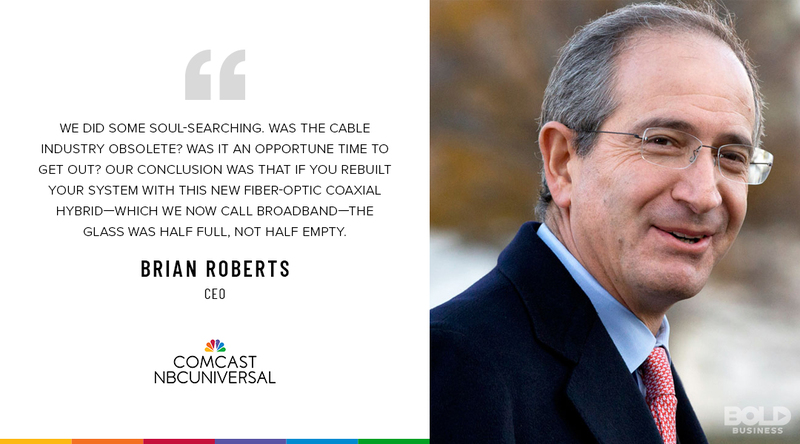 Some might say Brain Roberts was a natural born leader, being the son of Comcast co-founder Ralph Roberts. Others might suggest the younger Roberts acquired his bolder leadership abilities through early life experiences. But few would question his talents in leading Comcast to be the media giant it is today. Despite numerous challenges, Comcast remains well positioned to be a dominant force in an industry facing constant flux. And Roberts’ bold leadership style plays a major role in Comcast’s good fortune. For his humility-based leadership style, risk-taking nature, and embracing of diversity and inclusion, Brian Roberts gets this week’s Bold Leader Spotlight. 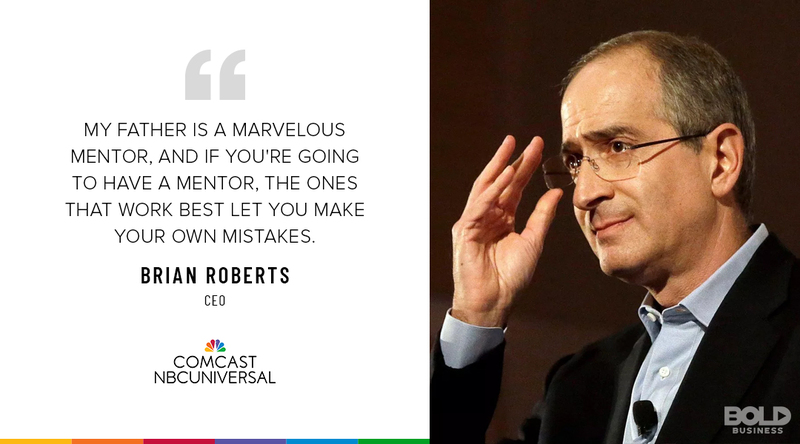 Bold leaders may not be born that way, but for Comcast’s Brian Roberts, it certainly manifested at a young age. Born in Philadelphia in 1959, Brian was not your average kid. While other teens struggled to find their identity, Brian already had a good idea who he was. In between classes, he regularly read the Wall Street Journal to check on stock investments. Likewise, he would routinely attend bank negotiations with his father. In fact, Brian even had his own personal financial advisor in high school. This was long before he would become the bold leader of Comcast. 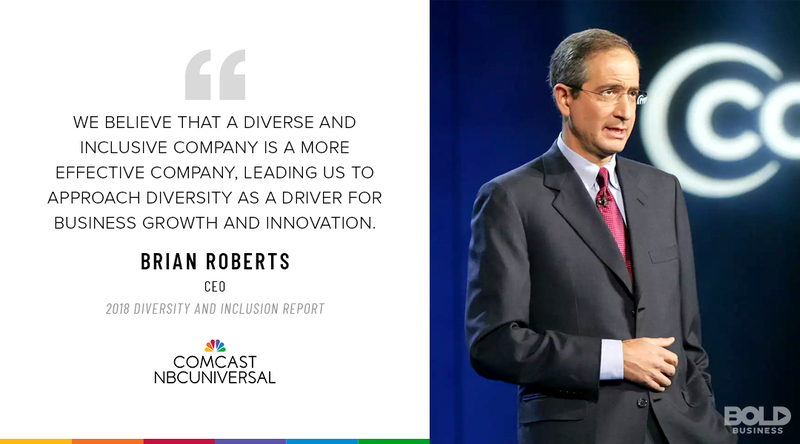 The bold leadership of Brian Roberts has enabled Comcast/NBCUniversal to cement its role as media titan. After high school, Brian then attended the well-known Wharton School of Business at the University of Pennsylvania. While he excelled in his courses toward a degree in finance, his keen talents for leadership shined in other areas. As a freshman, he enrolled in Penn’s squash team despite being one of the worst players. But Brian’s intense drive and the pursuit of innovative strategies enabled him to become an All-American by his senior year. 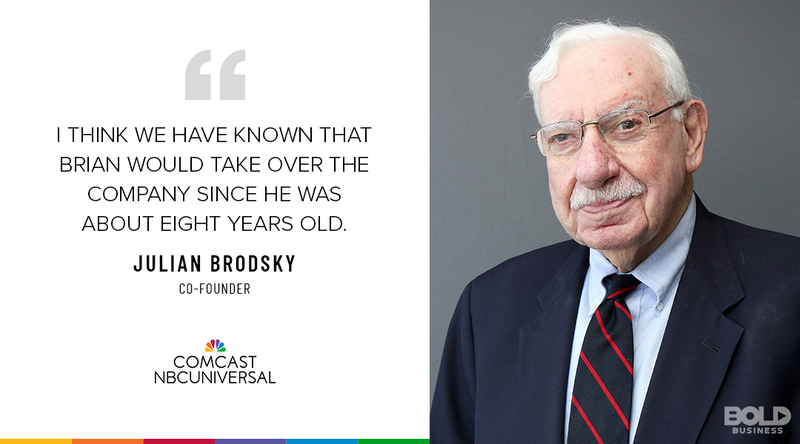 In 1990, Brian became Comcast’s president at only 31 years of age. Ralph Roberts seems to have taught son Brian well, as evidenced by Comcast’s success. From its inception, Comcast has always been about family values. As many cable companies pursued acquisitions and mergers to enhance the bottom line, Brian’s father stayed focused on values. It is these same values that continue to guide Brian’s bold leadership decisions today. Many father and son business relationships suffer from continual arguments and disputes about strategic decisions and future directions. But the relationship between Ralph and Brian has always been one of respect, adoration, and cooperation. Much of Ralph’s value-based perspective came from growing up in the Great Depression and seeing his own father’s wealth dissipate. These values and his entrepreneurial spirit were passed along to Brian. Brian’s first experience at Comcast began by selling cable service door-to-door and by stringing wire atop telephone poles. This merit-based approach to advancement instilled core values that have greatly influenced his leadership. In fact, Brian continues to prefer public transportation and often has annual meetings in company cafeterias. Among other traits, his humility and ethical values have only served to strengthen his following. Brian’s bold leadership of Comcast through this recent period of digital disruption has kept the company on top. One of Brian’s boldest leadership moves occurred in 2000. AT&T had split into three divisions, and Brian saw an opportunity. AT&T’s broadband division had been struggling, and he saw broadband as the way of the future. Amidst a poor economy and increased market competition, Comcast acquired AT&T Broadband for $53.2 billion in stock and assumed debt. The deal allowed Comcast to become the largest cable operator in the world, doubling subscriber numbers for AOL Time Warner. This bold acquisition would not be the last for Brian Roberts. In 2009, Comcast began its acquisition of NBCUniversal. By completing the deal, Brian was able to integrate Comcast’s cable networks with broadcast television. And combined with Comcast’s broadband Internet services, Comcast was clearly a market leader. Subsequent acquisition bids have failed, including those for Disney and 21st Century Fox. However, strategic risk-taking remains a core leadership asset for Brian. And it remains a key reason why Comcast continues to be a major industry force. 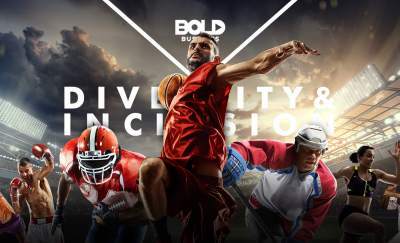 The boldest leadership understands that diversity often drives innovation. Just as Brian demonstrated respect for his father, he does so with others as well. 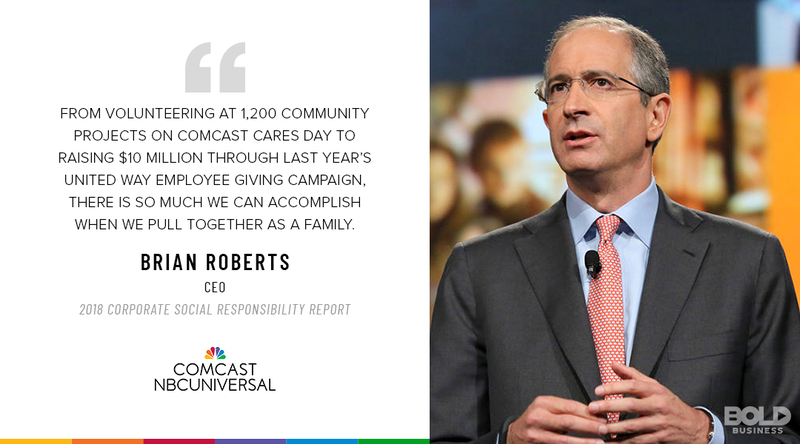 A major focus of Comcast under Brian’s leadership has been to provide underprivileged individuals with access to technology. In fact, since 2011, Comcast has invested $350 million into its inclusion initiative for high-speed Internet access. At the same time, Brian has been recognized as a leader in diversity and inclusion in the workplace. In 2017, Fortune Magazine recognized Comcast as a top workplace for women. By inviting diverse viewpoints and encouraging involvement, Brian stokes the flames for perpetual innovation. This not only pertains to Comcast’s internal organizational culture but to society as well. Having family values instilled throughout his childhood, Brian takes social responsibility seriously. His bold leadership style has openly embraced initiatives that place the customer first while fostering a positive workplace environment. But his leadership extends well beyond these settings. As part of “Comcast Cares Day”, volunteers commit to helping out with over 1,200 community projects throughout the world. Through the 2017 United Way Employee Giving Campaign, Comcast has provided more than $10 million in donations. And school supply drives have raised $1.3 million in recent years. As reflected through these efforts, Brian’s capacity as a leader doesn’t stop when leaving the executive suite. All effective bold leadership is tempered with a healthy dose of ethics. With Netflix and others disrupting the media and entertainment industries, Comcast certainly faces many challenges ahead. Consumer preferences in how, when, and why customers access their media are in constant flux. And Comcast will need to continue to evolve to remain relevant in a very dynamic industry. But with Brian Roberts leading the way, the future looks less intimidating. His bold leadership style characterized by values, vision, inclusion, and humility will provide the means to cultivate innovation and commitment. 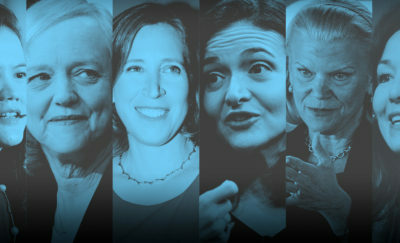 And his ability to champion change while taking necessary strategic risks will offer great opportunities for success.